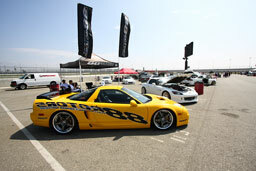 88Rotors is a company based in the City of South El Monte, CA created by car enthusiasts for car enthusiasts. We know that factory brake systems aren't cutting it, so we offer to you one of the most effective braking systems using our state of the art cross-drilled & slotted brake rotors. We manufacture our brake rotors through an exclusively owned CNC machine shop. Our goal has always been to provide our customers with the highest quality parts for the lowest prices possible in the industry. 88Rotors has continued to bring satisfaction to customers since 2004. The rotor business started with an original stock order of only 88 rotors, yet within 1 year, the company relocated to a new, larger warehouse and currently has over 30,000 brake rotors in stock for all cars. Since 2005, we have expanded 88Rotors into a complete automotive parts superstore. We are direct with over 50 manufacturers and distributors. Becoming authorized dealers, we are able to offer the most competitive prices in the market. Not only do we offer great products at great prices, our great customer service is what keeps us in business. We are located in South El Monte, CA for wheel & tire installation. We also offer other services, so please feel free to contact our friendly staff. 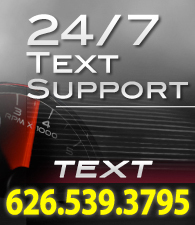 We will be happy to answer all of your questions and make your car a whole lot more enjoyable to drive! Call us today: 626-442-3150.